Masta's Protechmasta Therapy Rug is now available as a 200g Stable rug, to enhance and stimulate your horse for improved health whilst resting in the stable. Far Infrared technology improves performance by delivering oxygen and nutrients to key muscle groups. 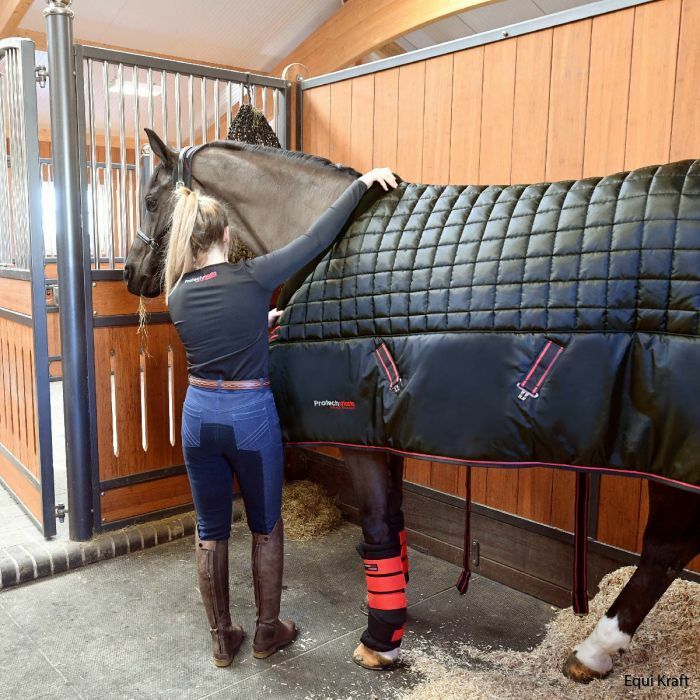 It helps to prevent injuries by preparing muscles and tendons for work, improves recovery and muscle tightness by promotion of blood flow and relieves stress and tension for horses troubled by travel and/or anxiety, or horses in recovery. 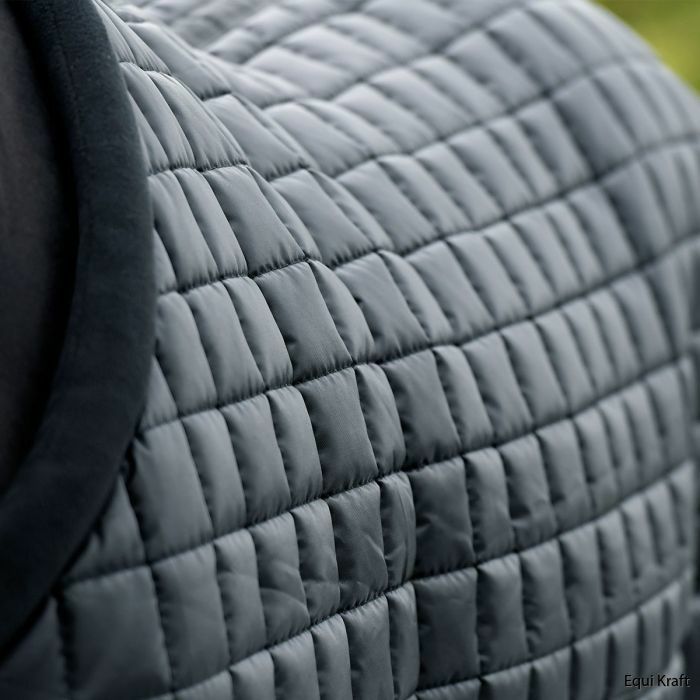 Far Infrared Technology: A naturalistic ceramic infused lining that emits a safe form of Far Infrared radiation, also known as Biogenetic Radiation, to the horses’ body, this is then reflected back from the horse’s body creating a natural black body effect. Far infrared radiation is a natural process and is scientifically proven to gently and safely assist blood circulation, therefore, helping to reduce any swelling, ease muscle tension and support recovery and help in the prevention of injury. 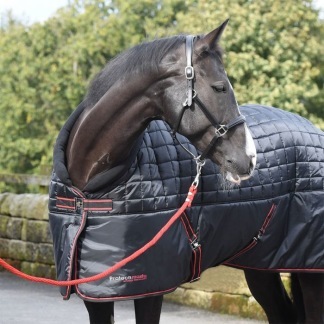 Spring and Autumn warm: 200g fibre fill with soft padded neck collar for comfort and anti rub. Easy to use Fastenings: Single front chest strap, cross surcingles and fillet string for a secure fit. Resting heart rate reduced – relieving pre exercise stress and general anxiety. Post exercise heart rate restored to resting rate quicker – showing significantly improved recovery rates. Skin surface temperature stabilised – as compared to the normal routine which showed temperature irregulation, sweating and heat stress, each of which is a performance prohibitor. Inflammation reduced even after 30 minutes – proving increased circulation and duly preventing potential injury.